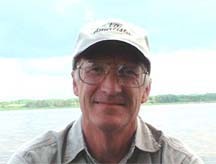 A native of England, Hugh Chare has worked in copper mines in Zambia and various manufacturing companies in the United States. He published his first novel Chaya four one! in 2006, with the second Just off the Great North Road following a year later. Chaya four one! and Just off the Great North Road are set in Zambia against a backdrop of copper mining. Subsequent novels are; The journal of Jan Englebrecht, that takes one back in time to the middle of the Nineteenth Century and exploration in Bechuanaland (Botswana), The Sagitta Mishap that steps away from Africa to the United States and Utah to a rocket factory where a disaster has occurred and follows the subsequent investigation as the causes of the incident are sought, Flight 5 to Johannesburg that is more recent and is set in the Democratic Republic of Congo against a backdrop of civil wars in that country, British Spy in the Bushveld that continues the Southern African theme and is set in 1901 during the 2nd Anglo-Boer war in South Africa, and Across the Zambezi follows ivory poachers in Botswana in the mid 1970's. Federica explores the difficulties for women to break into the automobile design and manufacturing business in the early 1900's and Death in the Mopane returns to Africa with a murder investigation set in Botswana. Hugh has also contributed to Write on Maui with articles about his first trip to Zambia in 1969 and the habits of those who drive whilst using cell phones. Born in Los Angeles, Michael Nason relocated to Maui in 1975 where he attended Saint Anthony Jr. & Sr. High School. His mother remarried into a local Hawaiian-Portuguese family where he learned to hunt wild pig, fish, dive and gained an overall love for the island and its culture. After an executive career in California, he returned to Maui in 1989 and became a pig farmer. Over the proceeding years, Michael lived in Maalaea where he became a part of the harbor’s tight knit community, learned to sail and from where many of the principle characters in his first novella, KUUIPO, are drawn. Michael is an established artist on Maui with works having been displayed in local galleries and in ART MAUI, the state’s largest juried art exhibit. 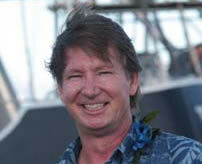 During 2002-2003 he sat as a Board Member of ART MAUI and was the Chairperson of ART MAUI 2004.